Brockley (also known as Brockley Green) is a civil parish in the St Edmundsbury borough of Suffolk. According to the 2001 census it had a population of 281 increasing to 312 at the 2011 Census. 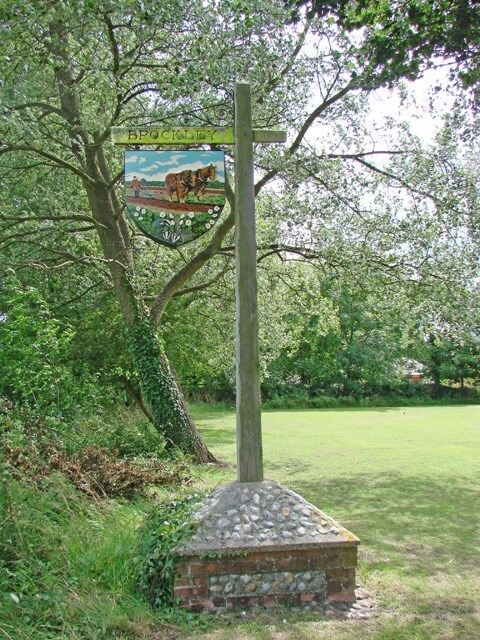 It is situated approximately 7 miles south of Bury St Edmunds and 9 miles north of Sudbury on the B1066. Also it is 2 miles north of Hartest. A small hamlet, recorded in Domesday as "Brochola" or "Broclega": the name originates from 'woodland clearing by a brook'.